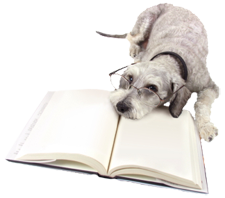 Compassionate Care Veterinary Hospital is aware of the vast amount of information available on the Internet. Our team has taken the time and evaluated the following sites. We trust the information the listed websites provide to you, our client, and member of our family. A resource for any animal poison-related emergency, 24 hours a day, 365 days a year. If you think that your pet may have ingested a potentially poisonous substance, call (888) 426-4435. Pet Poison Helpline is a 24-hour animal poison control service available throughout the U.S., Canada, and the Caribbean for pet owners and veterinary professionals who require assistance with treating a potentially poisoned pet. They have the ability to help every poisoned pet, with all types of poisonings, 24 hours a day.